Select Size 4' 6" 4' 9" 5' 3" 6' 6" 6' 9"
This rug is the ultimate in fly and sun bleaching protection. 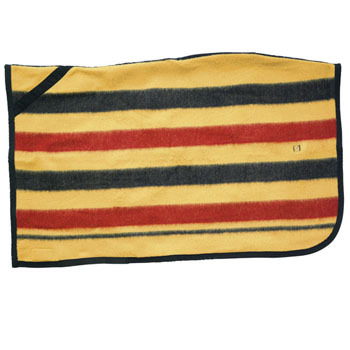 Aids the prevention and treatment of sweet itch while being comfortable, unrestrictive and cool for your horse to wear, making it the perfect rug to protect any horse from the summer hazards of flies and sun. 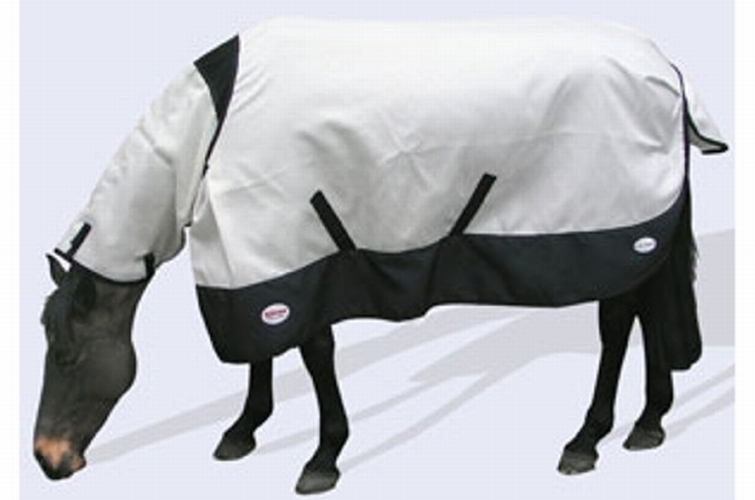 Research shows that flies will not fly from light to dark, so the black skirt of the FAL Pro Sweet Itch Fly Sheet acts to provide superior protection to your horse’s sensitive belly region, without the annoyance of a belly pad. The rug incorporates X-Static®, the textile fibre that has a layer of pure silver permanently bonded to its surface. Silver possesses natural therapeutic benefits which has been shown to repel microbial and fungal infections, promote effective circulation and healing and reduce allergic reactions in sensitive horses. Sizes usually - 4'9" to 7' 3" - but please check for availability, as these sell very fast. A matching fly mask is available for purchase separately, to protect your horse’s sensitive eye and ear region. Kevin Bacon Active Soap - For the Itchy Horse!